Eddie spent 35 years in the automotive business with Honda. He is an ASE Certified Master Technician and has bruised knuckles to prove it. Your “Check Engine” light comes on when your car’s onboard computer (or PCM, Powertrain Control Module) records some kind of problem. This onboard computer runs your car so that it has optimum fuel economy and low emissions. 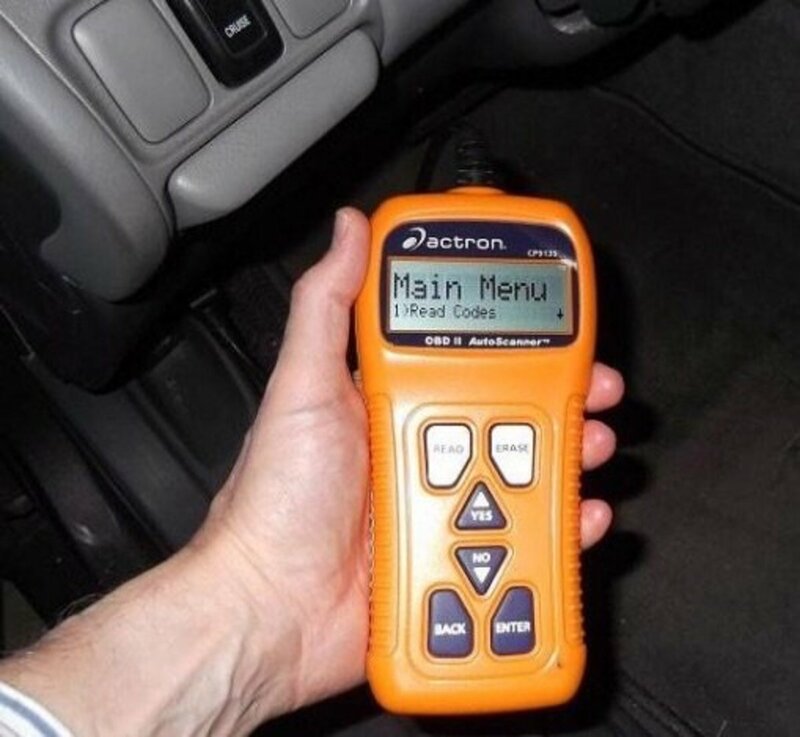 The PCM creates a code indicating what part or system is malfuntioning (electrical system, oxygen sensors, and so on). Your tech can get the code from the vehicle and look up its meaning. In the meantime, you’re probably wondering: what are the possibilities? Is there something going on in your car or in your life that triggered this “check engine” situation? Where should a mechanic start looking to find the problem? 1. Has your car been in the shop for service recently? 2. Have you fueled your car recently? 3. Did you possibly overfill your fuel tank? 4. Have you installed any new electronic devices recently? 5. Did your “check engine” light come on after driving through a deep puddle? 6. Do you have excessive humidity in your car caused by a water leak? 7. Do you live in a rural area where there are lots of critters? 8. 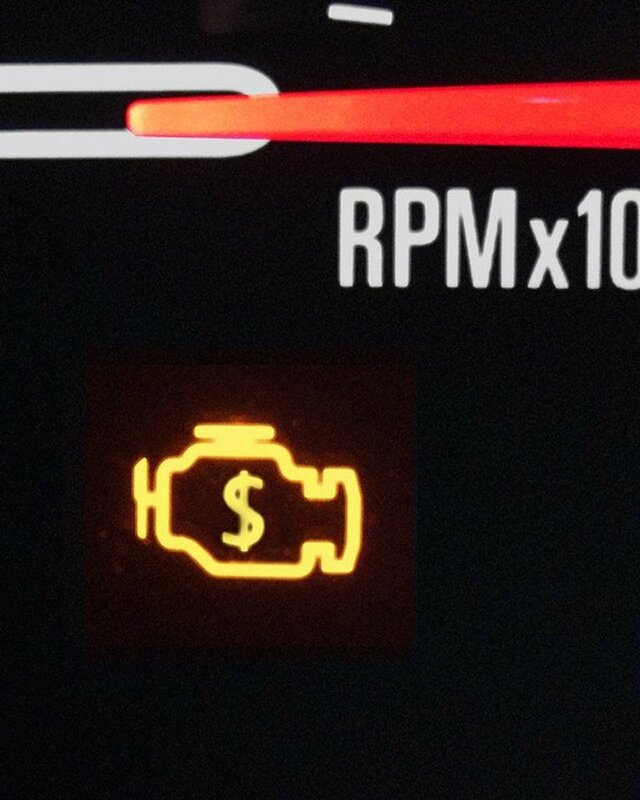 Are other warning lights illuminated on the dash? 9. Did your car sit for a long period of time without anyone driving it? 10. Were you the last one to drive your car? 1. Is the car running normally? 2. Is the "check engine" light flashing? What Light Are We Talking About? Bonus question 1. Is the car running normally? If your car is running normally, and you have no problem driving it, the problem is not so severe that you need to panic. Of course you should not ignore the light; it is warning you of some problem with the emissions system. When the light is on, your car runs on default parameters, not optimized to reduce emissions and increase mileage, and so you won’t get the gas mileage the car is designed to get. Just call your mechanic or dealer to make an appointment within a reasonable amount of time. Bonus question 2. Is the "check engine" light flashing? If it's flashing, it means you have a serious problem and you really should not be driving your car. It's flashing because it's saying “STOP!!! Hey Look At Me!! !” It’s saying your catalytic converter is being damaged. It’s probably a good idea to call a tow truck at this point; you don’t want to add to the cost of any repairs that are going to be needed. 1. Has your car been serviced recently? If your car has been in the shop recently for service, it’s quite possible the technician has caused your "check engine" light problem. Sometimes a technician will forget to reinstall a connector to a sensor, or not snap the connector back together completely. Or he or she may knock a connector loose while doing a minor service. 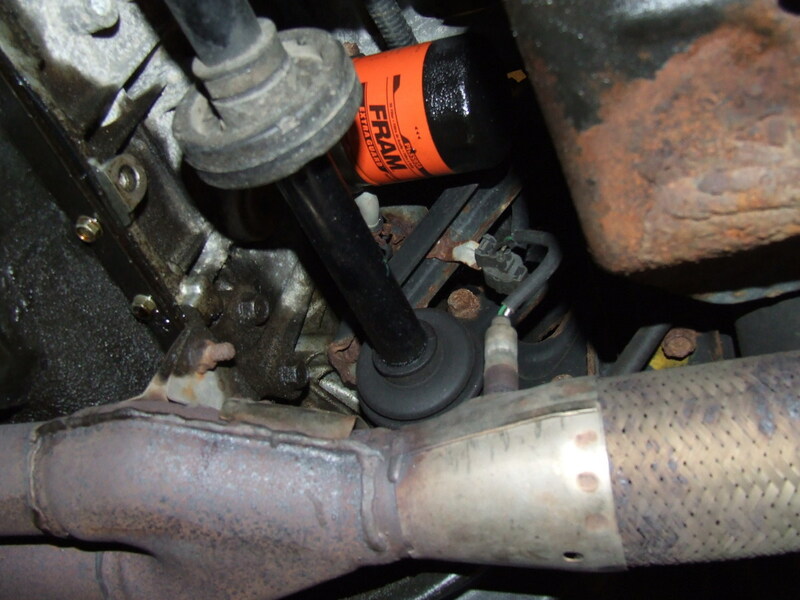 On older Hondas, the oxygen sensor is directly below the oil filter, so a technician removing the oil filter for a routine oil change might spill oil onto the oxygen sensor. It’s just possible, though not common, that a technician wiping oil off the sensor damaged it somehow. If you didn’t tighten the fuel cap enough (or forgot to put it on altogether! ), this could cause your "check engine" light to come on. All Honda fuel caps have a ratcheting device built into the cap to achieve a good seal and keep you from over-tightening the cap. When tightening your fuel cap, be sure to turn it enough to hear at least three clicks; that ensures the proper torque was applied. If your check engine light is on, simply check your fuel cap to make sure it is turned three clicks. If you’re one of those people who like to top off the fuel tank, you need to break that habit, especially if you own a newer Honda. When the gas pump shuts off automatically, the tank is as full as it needs to be. To keep gasoline fumes out of the atmosphere, modern United States cars are required to trap the fumes and recycle them into the engine to be burned. Overfilling the tank can spill fuel into into tiny vacuum lines and filters, which in turn can clog emission devices (like the "evap canister" being replaced in the three do-it-yourself videos at the end of this article). Soaking these devices in gasoline will cause the "check engine" light to come on. Replacing the damaged parts could be costly, but the time spent diagnosing the problem could be even costlier. 4. Have you installed any new electronic devices lately, or had them installed by a professional? Everyone likes all the new gadgets available for cars these days, like back-up cameras, thunder-booming stereos, remote car starters, high-intensity-discharge headlights, and rear entertainment systems, to name a few. It’s just possible that the person installing your device may have blown a fuse, or worse, may have tapped into the wrong wire and caused that dang "check engine" light to come on again. Check to see that all electronics in the vehicle are working properly (e.g. dash light, 12-volt power supply, interior lights). If everything is working properly, I would either test all the fuses (using a test light or a voltage meter is the fastest way to do that) or return the vehicle to the person who did the work. 5. Did your "check engine" light come on after driving through a deep puddle? This isn’t common but it does happen. 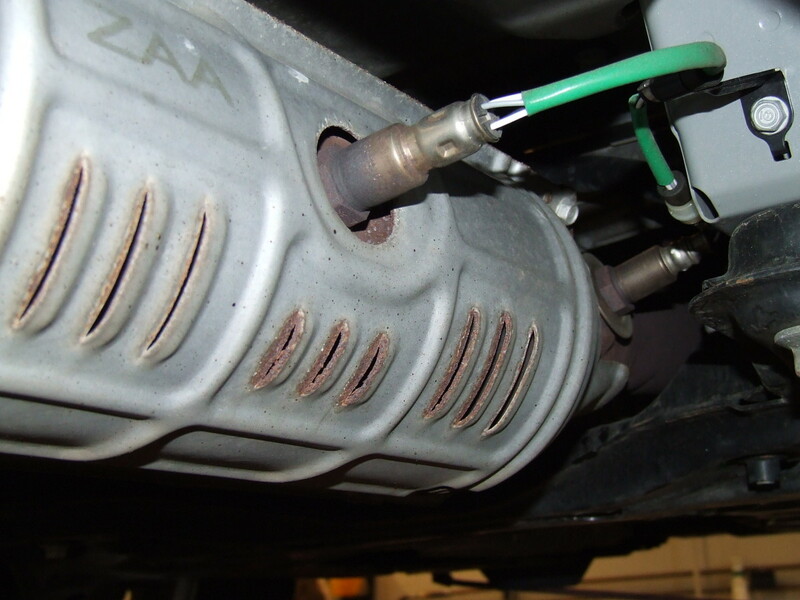 After driving for a while on the highway, your exhaust can get extremely hot; if you then happen to drive through a deep puddle, it is possible for water to cool the oxygen sensor too quickly and crack the material inside the sensor. The oxygen sensor is located under the vehicle, usually in or near the catalytic converter where the temperature can exceed 600 degrees. If this sounds like your scenario, take your car to the dealer or your local mechanic. What Is an Oxygen Sensor? Water on the front or back carpet in your car will often be coming from the front of the car somewhere; water flows towards the back because of acceleration, and because the floor is tapered towards the rear of the vehicle. If the water is only visible on the rear carpet, the leak may be in the rear of the vehicle. The most common cause of a water leak is the windshield; sometimes a newly replaced windshield will leak. If a leaky windshield drips water on an ECU (Engine Control Unit) fuse box or any other control unit, this willl cause a ECU failure and your “check engine” light will come on. Water is very damaging to all electronic devices (just drop your smart phone in water and see what happens). 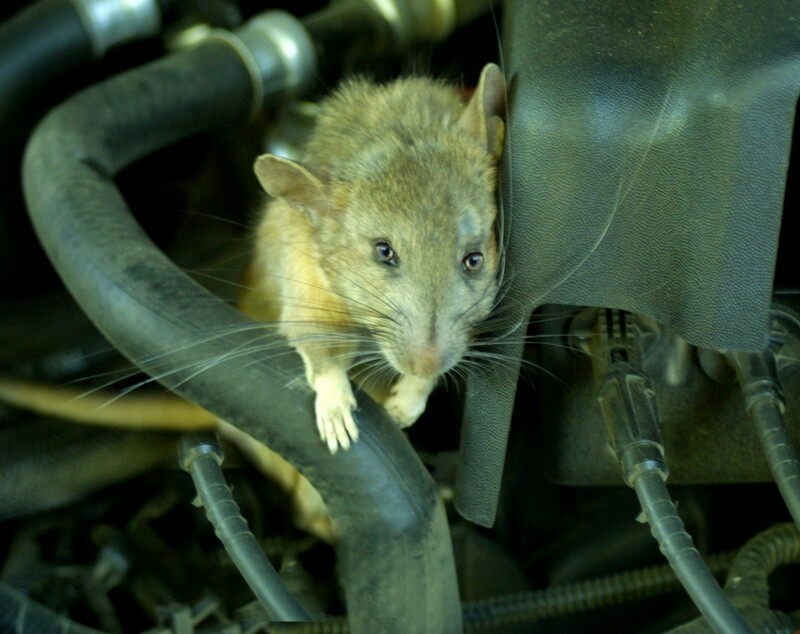 Critters can cause all sorts of problems in cars, from horrible smells to chewed wires. If you live or work in an area where mice, rats, chipmunks. or squirrels can get into your car, they can wreak havoc on your cars’ electrical systems. Given the chance, critters will build nests and store food for the winter, and for some reason they like to chew wires. 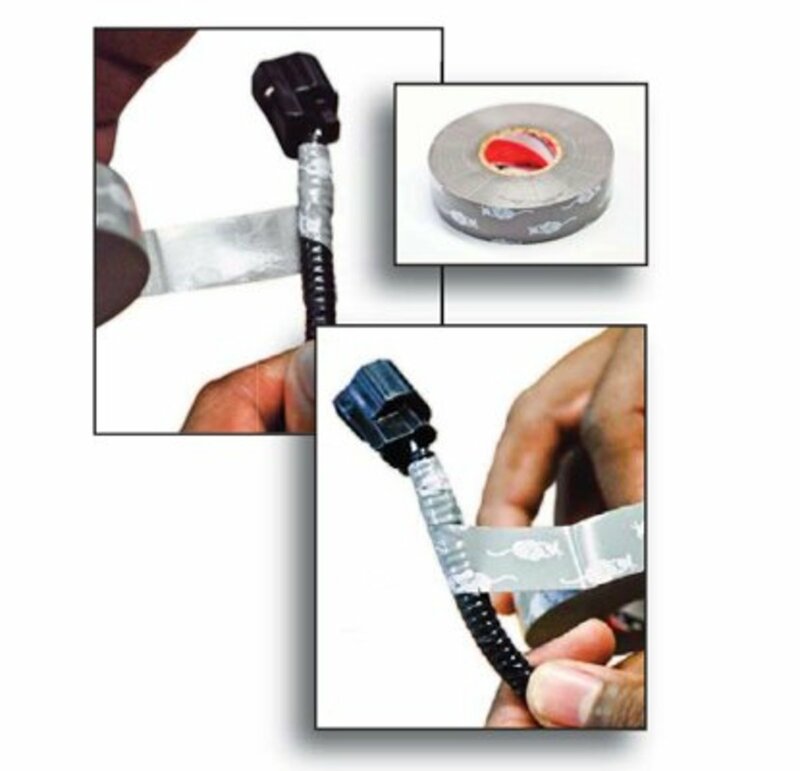 In fact, some car manufacturers assemble wire harnesses wrapped with mouse-deterrent tape, no kidding. It’s not completely effective but it’s a start. If a critter chews the right wires in your vehicle, it will cause the “check engine” light to come on, and an expensive bill! Replacing a wire harness is daunting and time-consuming. loud noises when the heating or air conditioning fans come on. Critters are notorious for building nests inside blower motor assemblies, causing all kinds of problems. In some cases, a failure in another part or system can cause your "check engine" light to come on. Multiple warning lights illuminated on the dash don't necessarily mean multiple problems, so don't panic. The lights could all be caused by a single problem: For example, if your alternator is not charging, or if it’s over-charging, it could cause low or high voltage in the system, which would cause many lights to come on. 9. Did your car sit for a long time without anyone driving it? Cars that sit for a long period of time are susceptible to a plethora of problems. Critters move in, batteries go dead, tires go flat, brake rotors become rusted and cause a pulsation when applying the brakes, pulleys rust and cause belts to squeak, and the list goes on. If you car sat for a while, your "check engine" light could come on because a sensor or solenoid is stuck, or for other reasons. Have it checked out by an honest mechanic; they are out there, you just have to find them. If you were not the last one to drive your car and the "check engine" light is on, you need to start asking questions. Sometimes family members or friends who borrow your car spill soda or coffee on the console without telling you. On some Hondas, the ECM/PCM (engine control unit/powertrain control unit) is located below the center of the console, and sugary drinks can destroy this expensive control unit. If you have a buddy, friend, uncle, or cuz that can check the code because they have a scan tool, make sure you write down the code, because if you decide to erase it, you’ll want to know what it was when the light comes back on (and if it’s an issue other than a loose gas cap, the problem will usually come back). It’s good practice for you, and good information to give your mechanic. If you want to try and diagnose the problem yourself, you will need to figure out with the diagnostic code is telling you. Here is a guide to understanding the codes. A display that includes a description of the cause of the warning light, as well as the code. This saves you time from having to look up the description that goes with the numerical code in a book or on the computer. LED display for state emissions readiness check and drive cycle verification. This feature will let you know if it will pass an emissions test. A USB cable to update the information in your scan tool from your own computer. If you can't update the scan tool, it will be obsolete in three years. The Innova 3040 scan tool has the features above and more, and should last for years. Leave me a comment or a question, don’t be shy. I just might have the answer you’re looking for. And if you found this information useful, why not share it (for example, on Facebook or Twitter, using the buttons above)? Our 2013 Honda Pilot was saying “check fuel cap” for a few days, so we kept trying to tighten it. Eventually the engine light came on a week later. We replaced the fuel cap with a new one purchased from Honda. The engine light is still on and it was replaced 2 days ago. Does the system need time to reboot itself or should we be getting the car looked at? The engine light came on and showed the check emission system message. I went to AutoZone to check the code. It showed P0420. They said it’s the Catalytic Converter and Exhaust Flange Gasket. I just had my emissions inspection about two weeks ago, and it passed. I filled up with gas yesterday. Is there anything that would cause this that would correct itself? I’m a single mom and want to check anything I can before I spend the money to take it to the shop. The check engine light came on in my 2005 Honda Accord. What may be wrong? There are a lot of things that can cause the check engine light to come on. Some common issues are O2 sensors, evaporative emissions leaks, a loose gas cap, a misfire, spark plugs, low coolant, etc. I recommend having the code checked; it will point you in the right direction. I have a 1999 Honda Accord LX with 74,000 miles. The check engine light is on, but the engine runs smooth. I've changed the vacuum canister and solenoid valve, and have a new gas tank cap. When I reset the light it stays off for a while but then comes back on, what could it be? Not all check engine lights are caused by a leak in the evaporative system or gas tank. Sometimes it's caused by an O2 sensor, misfire, spark plug, spark plug wires, etc. If you know the code it would help to diagnose your issue. My 1995 Accord EX check engine light is on, could this cause my car to shut off when I stop? Absolutely, It could be a fouled spark plug, inoperative coil, faulty fuel injector, etc... It really depends on what is causing the problem. Check how the engine is running. If it's skipping or hesitating that's a definite red flag. Can a low oil level cause the check engine light to come on? It's possible because some engine components use oil pressure to work, so if the oil level is low, the component will not work properly. Could a broken PCV valve cause the "Check Engine" light to go off? I have a 2011 Honda Accord. Both my engine light and traction control light are on. What could this be? The check engine light will turn on the traction control light. I recommend getting the code checked because there are a lot of things that can cause the check engine light to come on. Once you know the code it will point you in the right direction. I had my car serviced after the check engine light came on. They said it was fixed, but when I drove it, the light came back on. I took it back again and they worked on it. When I got it back, the check engine light was out. I had my emissions inspection and they noticed the check engine light was not lighting up. I think the mechanic disconnected it. How can I tell if he disconnected it? Every time you start the car, the check engine light should illuminate then go out - this is called a bulb check. If the mechanic disconnected the light, you will not see it when starting the engine. I have a 2006 Honda Oydessy. The check engine light came on and showed all cylinders misfiring. We changed all ignition coils and spark plugs. Do codes need to be cleared in order for the light to go off? Yes, or drive the car for three complete drive cycles, the engine starts at cold and all the way to operating temperature, then back down to cold is one cycle. If the code does not clear after three drive cycles, you may have more than one problem. My 1998 Honda Accord LX engine light came on this morning and isn't going off; it's not blinking at all. What do you think the problem is? It could be anything from an O2 sensor to an EVAP canister leak. Have the code pulled and it will point you to the problem area. I have a 2002 honda civic ex-coupe. My check engine light was on a couple of days ago so I put engine coolant in the reservoir, and the light went off shortly after driving it later that day. Now the check engine is back on. What could be the problem? I don't think it had anything to do with the coolant. You'll need to have the code checked and it will point you in the right direction. I have a 2009 Honda CR-V and the oil pressure switch and timing chain was replaced and the check engine light is still on? What could be? There are several reasons for the check engine light being on, you will need to have the code read from the cars data link connector, once you have the code it will point you in the direction of the problem. My 2008 Honda Odyssey engine light came on, and a few weeks later started flashing. There is some light blue fluid coming out. What could the problem be? If there is light blue fluid leaking I recommend you get that checked first, it's possible you're low on coolant. The check engine light flashing may be something different or could be connected with the coolant leak. I recommend you have the vehicle towed to a garage and had these things checked before driving it again; I would hate to see you damage the engine by driving it. Today when I started up my 2000 Honda Civic LX, the engine light went on. I just had a new distributor installed last week. While driving it today, there was no noise, and it had power. I did fill the gas tank up yesterday, and I did hear the gas cap click a few times. Today is Sunday. So my mechanic has not looked at it, or knows what is going on. What do you think??? If the engine is running well at idle and when driving, most likely you have an evaporator leak in your emissions system. The code your mechanic will probably be either a P01456 or P01457, canister or canister vent shut valve. 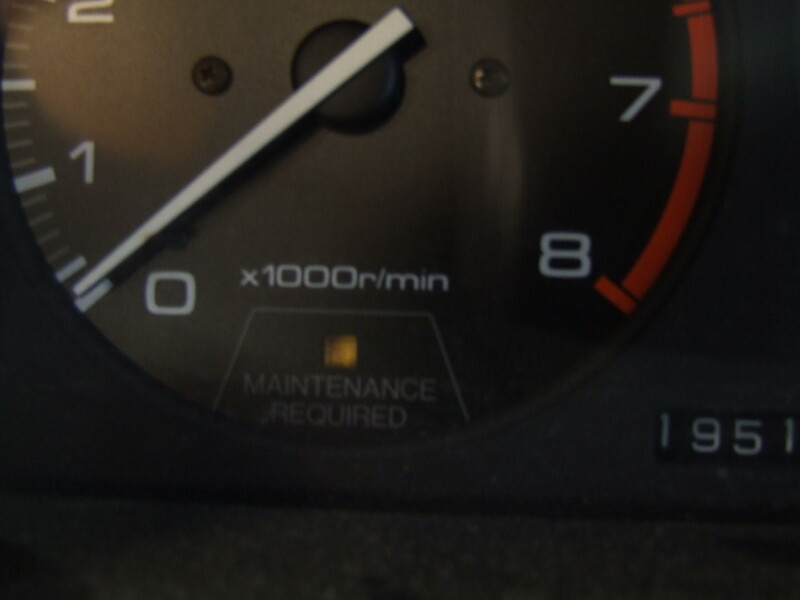 The check engine light on my Honda CR-V 1997 went on recently. The car runs fine. I brought it to the mechanic, and he told me there is an issue with my airbags? However, I thought the SRS light indicates an issue with seat belts or airbags. What do you think? Find a new mechanic, the SRS light is the warning system for the airbags and seat belts. Have another mechanic pull the code from your computer, and you will be able to diagnose it from there. I have a 2013 Honda Accord Sport. I disconnected the battery, and the check engine light turned on. I thought it was because the readiness codes cleared off. I heard when this happens the light blinks and then turns off, but mine is still on, no flashing or anything. Could the readiness codes keep it on until all the codes are back to normal, or is it something else? Drive your car for a few days. If the light doesn't go out, have the code checked, but drive it for a few days first; it may be something simple. My husband and I want to buy a Honda accord 2007 with 214,000 miles for $6,000. During the test drive, they had to jump the battery which caused the radio to need a code, and when I turned on the heater the engine light came on. Do I have something to worry about? Yes, you're paying too much for a car that has 214,000 on the engine and transmission. I recommend finding something with a little less miles for that price. I have a problem no one can solve. It's been going on for maybe the past two years. The fuel cap will go on. Then a couple of days later, the check engine light goes on. I have tried new fuel caps twice. Now, the lock doesn't work. I am wondering if there is some electrical problem going on? If you know the code, it will point you to the problem. My 2008 Civic's check engine light came on today. I read your article and none of it seems to apply. It seems to be running fine? If the engine is running normal then the problem may be in the canister side of the emission system. I recommend having someone read the code on the cars computer with a scan tool to find out the code. Once you know the code it will point you in the right direction on what is failing in your vehicle and is causing the light to be on. I "topped off" my gas tank and my engine light has been flashing along with the non-flashing, triangular VSA warning for five days and approximately 45 miles. My car runs fine, no unusual noises, etc., though I do not get the usual ECO light for economy fuel use. If this was caused by overfilling the gas tank, will the problem vanish on its own? If not, how do I find a mechanic familiar with the computerized warning system? If the check engine light is flashing, this means you are doing damage to the catalytic converter, and the car should be towed to a garage. I recommend the manufacturer's garage because they have the tools to diagnose the system. The problem you are having is not caused by overfilling the gas tank. Your engine is misfiring and is not burning all the fuel that is going into the cylinder, that's why the light is flashing: it's warning you that there is a damaging problem. I had fueled my car, and the same day the engine light came on. I don't top off. I phoned the dealership, and they said to unwind gas cap and put it back on. I did, but the light is still on. Today, I am replacing the relay/ fuse for the air conditioner; it has been blowing warm air after the first ten minutes of cold air. What is your advice on the engine light issue? For the check engine light problem, you'll need to have the code pulled from the computer if the light doesn't go out after three days of driving. If it were a gas cap code it would clear itself in about three days after the problem was fixed (tightening the gas cap). The AC issue is most likely a problem with the compressor clutch. The compressor clutch is most likely worn, and the gap is too wide to engage after the compressor is warm. The fix is to replace the AC compressor clutch or complete compressor assembly. I'm traveling from MI to CA. I got as far as Nebraska, when someone nearly ran me off the road, and I suddenly had to accelerate. That's when the check engine light came on. The fluids are good, and the car was running fine prior. What could be the problem? The check engine light can come on for a lot of different reasons. I recommend having it checked with a code reader, and this will point you to the problem. After driving for about 20 miles on the freeway, the check engine light on my 2010 Honda Accord started flashing. When I stopped the car, I felt the car shake and rumble, but it operated fine while driving. I looked up the symbol in the manual, and it says something might be wrong with the emissions Is this possibly it? Should I take my car to the local mechanic I use or to Honda? What do you think might be wrong and what are the possible costs to fix it? There are a few possibilities for this scenario. It could be a fouled spark plug, inoperative coil, faulty fuel injector, piston rings, etc. The check engine light is flashing because there is a misfire and it could be causing damage to the catalytic converter. I recommend having the Honda dealer check the code and give you an estimate of the cost of the repair. What does code 6111 mean on a Honda Accord 2013? That would be a generic code and it doesn't even sound right for a generic code. P0600 would have something to do with the data link connector communication. I'm driving a Honda Jazz 09. Whenever I hit a medium hump on the road, the check engine light comes up, and the transmission becomes stagnant (meaning it doesn't shifts up). If I hit the gas a bit harder, the RPM goes up. I found a quick fix, but I'm not satisfied with it. I usually re-start the car (around 3-4 times) then the check engine light goes off. Is this just a loosened sensor? It does sound like a loose connection. I recommend checking all of the connections to the transmission, and I mean inspecting each connector closely for any corrosion or damaged pins. I also recommend checking the fluid condition. If it's very dirty, you may have debris clogging a port, and when you hit a bump, it becomes dislodged. This is just a thought, but it's worth checking. The engine light on my Honda 2011 Pilot is on, and the D light for drive was flashing, but my car still runs regularly. The ECO light also turns on and off as I drive. What's the problem? It all depends on the code stored in the PCM. If it's a misfire code, most likely you'll need piston rings; it's very common on the 2011s. When the "D" light flashes, it means you have a transmission code that could be a solenoid malfunction. My 2007 Pilot check engine light came on today. I just changed the low beam headlight yesterday, could this be why? What could cause this to happen? It's not the headlight replacement. Have an auto parts store check the code and it will guide you to the problem. I have a 1997 Honda Civic DX, and the automatic check light is on. The vehicle runs great but has small slag in it. What do think it could be, maybe the throttle position sensor is causing the slag and maybe use of gas? If you know the code it will point you in the right direction. There are a lot of things that can cause a hesitation like an O2 sensor, spark plugs, spark plug wires, distributor cap and rotor, distributor base, valve adjustment, etc. If you know the code, you'll find the problem. I took my '93 Honda Accord LX to get smogged and they did something to make the check engine light come on but now it won't go off. What could the problem be? I'm not sure what the mechanic did to cause the light to come on, but if it was an intermittent failure the light should go off after three days or three complete drive cycles. I have a 2002 Honda CRV changed the starter, alternator, and air hose - the check engine light comes on before starting and doesn't go off. The car is running well. Is it merely a reset that is needed, or should I recheck everything? Definitely recheck everything, drive it for 3 days, if the light doesn't go out, have the code checked. I have a 2003 Accord that has not been driven for a while. The check engine is on, and the car is suddenly shaking. What could be the cause? I recommend checking for any rodent damage or any signs there are rodents living in the vehicle and chewing wires: https://youtu.be/ZWd6XEszacQ. I have a 02 Accord, 4 cylinder. I am getting the p1259 VTEC code, but the vVTEC assembly is ok. Also, the distributor is not getting power to the plugs. Could both these problems stem from a bad ECM or PCM? Not usually, no. I recommend having the distributor base checked for any play in the shaft and also check the ignitor. If all looks good, check the main relay under the dash on the driver's side near the steering column. I have a 1996 Honda Accord and the engine light is flashing and when I stop at a red light the car shakes and it feels like it is going to die what can the problem be? Whatever it is, you shouldn't drive it with the check engine light flashing, you could cause more damage. You'll need to have the code checked to give you an idea of what the failure is. I have my Honda Civic EX 2000 with the Check engine light go on. I brought it be diagnosed, and the result is P-0505 = idle air control valve system. 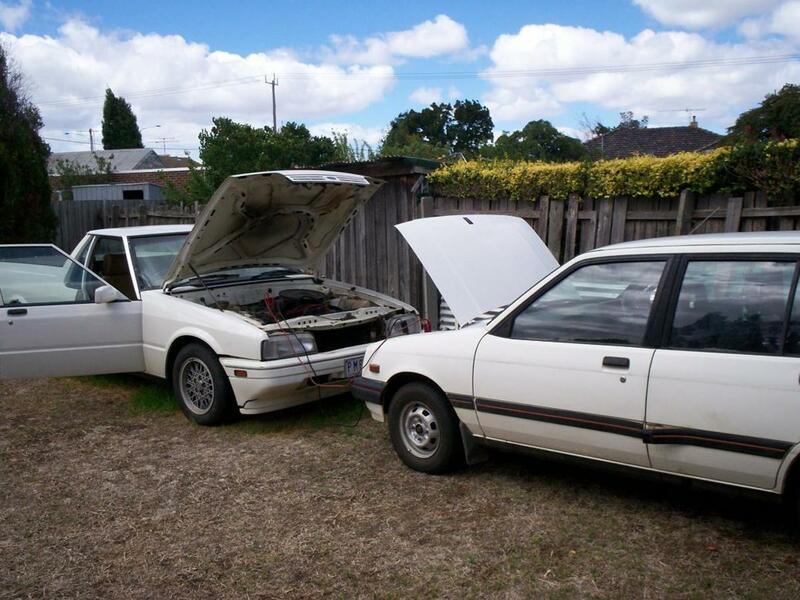 I'm a retiree, and don't have money to buy another or get it properly fixed. What should I do? Exactly what part should I purchase if I want to fix it myself? I filled up my 2012 Honda pilot, and the check engine light came on, why? Maybe you didn't tighten the gas cap three clicks? The only way to know for sure is to have the code pulled from the computer. If it is the gas cap, tighten it three clicks and drive the vehicle for three days, if that was the problem, the light should go off, if not you'll need to have the code pulled. Why Does My Engine Start But Then Stop? The alignment has nothing to do with the light. You'll need to have the codes pulled so you know what system is failing and causing the light to come on. Let me know what the code is when you get it. I was driving slow under twenty when my check engine light came on. I have a 2013 Honda Pilot ex -L. I took it to have the code diagnostics done. It is a 4 cylinder code so my eco gas saving mode won’t turn on is what the mechanic said. He turned off the light but after three days it turns back on. The next mechanic said the same however no one fixes it. How do i turn that code off and fix the issue. I have a Honda CRV 2009. The car is running fine without issues. I noticed that after a wheel alignment, the check engine light goes on for 3-4 days and is turned off automatically. It then turns on again after 2-3 days and stays lit for 3-4 days and it is happening for past few months. What could be possible cause an course of action i should take? I recommend you check the area where the mechanic was working to be sure they didn't leave something loose or disconnected. My starter recently went out on my 2005 Honda Accord EX Coupe. So I let it sit for a week or 2 till my mechanic could come fix it. I purchased a brand new starter and he placed it on. now the car is running like new....only problem is the check engine light recently came on a few days ago and I'm not sure why. The car is running great. The piece to connect the diagnostic scanner is messed up so it won't read any codes. What do you think is wrong with my car that's causing the check engine light to come on? So the car won't idle, it's normal for the battery light to come on when the engine stalls. Something is causing the engine to stall. What is the year, make, and model of your vehicle? A high idle means you have a vacuum leak (usually) somewhere in the engine like an intake manifold gasket or PCV valve is damaged. 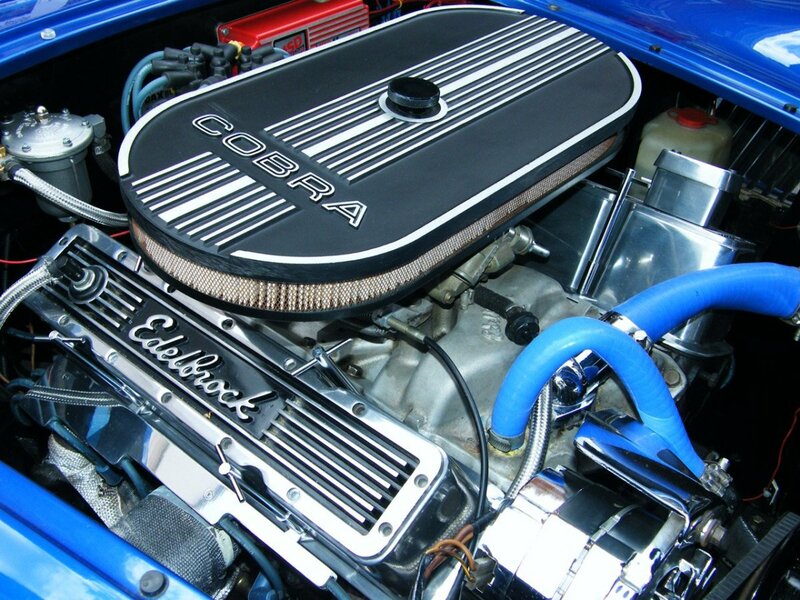 Do you hear any hissing noises like air leaking in the engine compartment? my engine light turn on and I took the battery off and full out the fuse pin of the engine light and open and shut my fuel cap and when i turn the car engine back on the light gone.However if i keep on stepping on the accelerator the car is fine but when i let go it shut off the engine and the battery light switch on, why is that? and after i turn the car back on the engine light appear again? Please let me know why and i'm planning to buy a code reader to check the reason.In the mean time i walk to walk and leave the car till they send me the code reader.Eddie if you could help would be greatly appreciated. 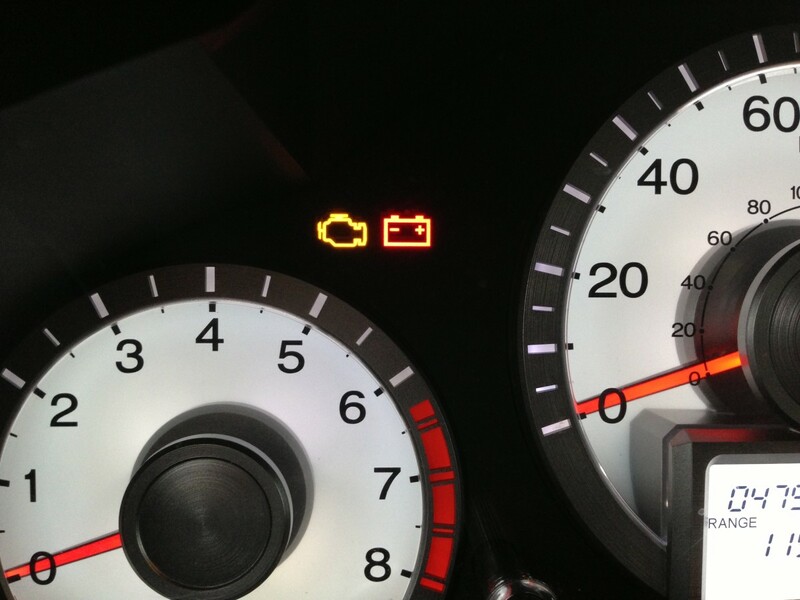 The flashing check engine light is caused by a misfire or skip in the engine. You'll need to find out what is causing the misfire like a bad spark plug or spark plug wire, cap, rotor, or coil. Do you know what the code is? I brought my 2004 Honda Accord in for an oil change and inspection. They said I needed front brakes and a serpentine belt which was done. When I picked up the car the engine light was on and when I put the car in park, the cars engine shut down. Brought the car back and they put in a 02 sensor in. Well same problem exists- engine light on and engine cuts off when put in park. I don't think it has anything to do with your accident. I recommend you get the code pulled, and it will point you in the direction of what is wrong. So I ended up getting into an accident while my car was parked. Some guy ended up side swiping my front bumper right off into one piece and the engine light didn’t come on until weeks after. At first it was because of the gas cap not being tightened so then it turned off. But then days after that it came back on and every time I get gas now I make sure it’s tight. But now the lights still on. If you can get me the code I can tell you the possible problems. What is the code, and is the engine running ok or is it running rough? The first step is to have the code pulled from the computer, there is no way to guess the code and there is no common reason for this problem. Hi Eddie, my honda crv 2004 model brings CEL especially when the gas is below quarter tank and on hard acceleration. My mec pulled error code P3200. What could be the problem. If you email me I can send you some flow charts your mechanic can follow. The email icon is near my picture at the top of this page. It could be a clogged cat or you may just need a valve adjustment especially if it hasn't had it done in 100k miles. Tight valves can cause all kinds of drivability issues and misfire codes as well. The codes that are coming up are for the O2 sensor but it also has to do with fuel trim so I'm not sure if the dusty roads are causing your problem or if there is a real problem with the O2 sensor. If the problem doesn't occur for 3 consecutive drive cycles the check engine light will go off, so it may be an intermittent failure. My 2005 Honda Civic 1.7i vtec's engine light came on. The car lost power and went into limp mode. The diagnostic code is P0131 & P0132. When the problem occurred, the car cut out every 1 minute. It is now 6 days later and every day since this event, the car cut out less frequently. Today it did not cut it at all. Should we replace the Oxygen sensor associated with these codes? We are on holiday, and the car has just drove 1000km long distance. The day of the first cut out, occurred driving in a Wild life park on gravel roads at low speed. This is also a dusty environment. The problem started half way through the day, after being on dirt roads for approximately 5 hours. Should we replace the oxygen sensor? Can we drive back to our home town, 1000km distance, on the national roads? It all depends on what they find for a code. Only a Honda Dealer can replace piston rings under warranty if your vehicle qualifies. If you have the code pulled from the computer it will give you an idea of what is causing the problem. My 2014 Honda Civic Is not going when I’m in drive. The Rpms jump and engine is loud. Check engine light is on and the D drive letter isn’t flashing. I'm sorry Jussara, I do not understand your language. The P0137 is the heated O2 sensor code, it probably has failed, you'll need to have someone test it to know for sure, the other coeds are generic codes and I have no understanding of them. Pull the code, don't drive it if the check engine light is flashing. If you have a p0300 through p0304 you may need piston rings and it's possible you may be under a warranty extension, cross your fingers. You'll need to visit a Honda dealer to know for sure so they can run your vin#. Keep me posted, thanks. Engine light flashing. VsA light on steady. Triangle with exclamation point on steady. Car seems to idle a little rough. Any words on where to start? 07 Honda Fit. Just had alternator replaced. P0137, 8-7, 13-1, 61-1 are all of the codes that the OBD2 reader gave me at Auto Zone. Car seems to be running fine. Any ideas? Sorry so late with my reply. If the light is not flashing, no need to be too concerned, just get it checked out at some point. If the check engine light flashes, get the code checked asap and try not to drive the vehicle until you know the code. I'm not sure that would trigger the check engine light to come on. Check the code and let me know what it is. Try turning the cruise control main shtick back on and see if the cruise works now. The "D" light is flashing because you have a fault in one of the solenoids on the transmission, I recommend trying a Honda dealer for diagnosis and replacement of the solenoid.The check engine light is on because the "D" light is on. Let me know what happens, thanks. The "D" light is flashing because you have a fault in one of the solenoids on the transmission, I recommend trying a Honda dealer for diagnosis and replacement of the solenoid. Let me know what happens, thanks. My 2015 honda pilot has 90,000 miles and has been driving great. My drive lights started flashing and check engine light came on. After a day it went off. Almost 5 days later ithas came back on. I took it to oreillys and they checked the code and it said the transmision pressure sensor was reading high. Btw i just had my oil changed last week before this started. Once you turn the car and back on the drive light stops blinking. Any ideas? Hi the check engine light on my honda crv 2007 suddenly lit up. But before that i noticed that there’s a leak of oil under my car i had it checked replced the valve seal and had it changed oil again but then the engine light came out again. I had it scanned and it says P0135. Mechanic didnt check anything and just read the code from the scanner and told me that i need to replace my Oxygen sensor bank 1 sensor 1 and it costs 20,000.00. Is it really the prob? My 2006 Honda civic Check engine light came on and the cruise control stopped working with brief power cut. Hello, I have noticed the last few fuel-up I am losing 20-40 miles on my tank of gas on my 2008 Accord manual transmission. This morning I was driving on snow covered roads to get to interstate and my check engine light came on. I have a 70 mile commute to work and it drove completely normal on the all interstate drive and the gas mileage was not worse. Do your have any thoughts ? I don’t know the code yet. Just wondering how worried I should be and if it is urgent. Do you know the code? Is the engine running smooth, no hesitation or bucking? Is the only problem the light being on? I think the mechanic may have forgotten to plug something in like a sensor. Do you know the code? The brakes have nothing to do with the light. Hi I just took my vehicle to a mechanic because one of the ignition coil was burnt out and a couple fuse blown out. The mechanic change fuse and one of the ignition coil that had the problem. Light came off. Driving it around for couple of days and the light came back on. We took it for a scan, the mechanic says it is the gas in the vehicle. He took off the light and it came right back on. What do you think is the problem? You'll need to et the code stored in the computer but it sounds like you may have a failing coil or spark plug. Once you know the code it will point you in to the problem. You could visit the Honda Dealer and have them check you vehicles in service date and all check for recalls. You may have a piston ring problem that may be covered under warranty, but it all depends on your vehicle service history. Hi! 2011 Honda pilot mileage 220.000 check engine light is on if i want to fix how much cost? I have a 2010 Odyssey . The light comes on and is flashing , van is shaking. The mechanic changed the spark plugs and it was running fine. It happened again and he said the spark plugs were bad and damaged with oil . What does this mean ? Eddie, I have a 2000 Honda Accord. While driving, the light flashes (light with the pic of an engine) and hesitates and looses some power momentarily. Only blinks maybe 2 or 3 times and everything is back to normal. Any experiences with what this could be sir? First I recommend checking their level and condition, low oil can cause this to happen. If the oil is ok, you may need to replace the VTEC screen or solenoid. I recommend having a Honda mechanic check the operation of the solenoid before replacing it. The light may go off after a few weeks if your lucky. When you overfill the fuel tank, it forces fuel into vacuum lines and evaporative components. Sometimes it dries out on it's own, but sometimes the emissions system needs to be taken apart and drained. My malfunction indicator lamp came on after I overfilled by about 1 litre. Im biuing q second hand honda civic,the engine light is lighted and the seller said VTEC will not kick yo because the engine light is on, any solution to fix to male VTEC kick in again? If the light will not come on it usually means that the bulb is burnt out. I know that sounds like a simple answer but it really think this is your problem. Hi Eddy I have a 2003 Honda Accord V6 and Malfunctions Indicator Light won’t come on which is preventing it from passing Smog. Do you have any suggestions. If the light is flashing, you need to get it checked asap. The light is flashing because you have a misfire and you could be doing damage to the catalytic converter. I think you brake fluid reservoir is low on fluid causing the brake light to come on or your emergency brake is slightly on. The check engine light could be anything. I recommend having the code pulled at an auto parts stories you can afford a mechanic to diagnose it. If the engine is running smooth and no noticeable running condition it should be ok to drive, as long as the light is not flashing. You'll need to remove the distributor cap and dry out the inside of the distributor. When you washed the engine, water or moisture most likely entered the distributor cap and is causing your problem. Let me know what you find, thanks. hi! i just both 01 crv. it has engine light and low idling. i just put coolant and engine wash and start the problem. I have a 2004 Honda Accord Ex that I purchased recently. Car runs great but the engine line & brake light came on at the exact same time while driving. Any idea if these are related or just a possible coincidence? I’m a single mom with two kids and I’m worried. 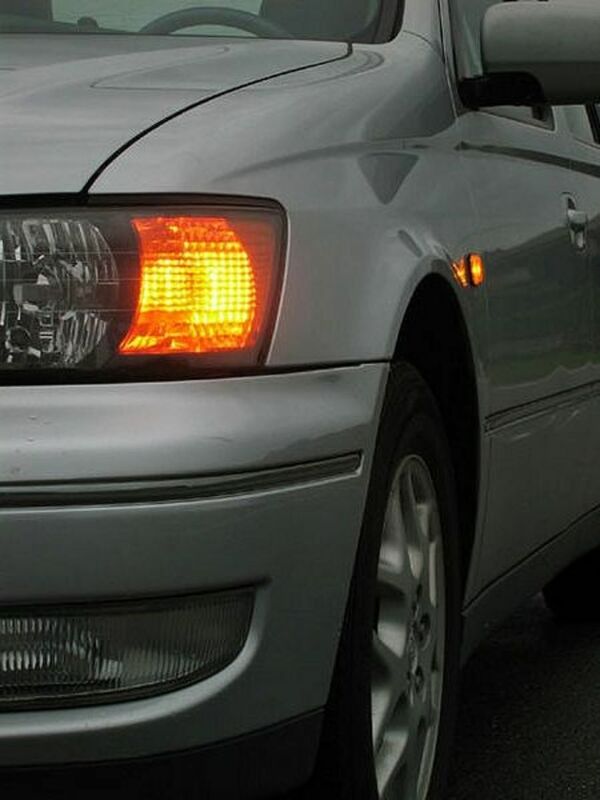 Sorry for the late reply Porscha, if the light is not flashing then it is still drivable. Don't freak out just yet, it could be something very simple. When you have time, have someone pull the code from the computer. If you have someone pull the code from the computer I may be able to help with the diagnosis. The "D"light flashing is warning you that there is a fault in one of the transmission solenoids, possible 3rd gear shift solenoid (very common). I'm not sure of the clicking noise tho, I would have to hear it. The check engine light will go out when you fix the "D" light. That should not have cost you anything Omar, the shop should have known it's under warranty. I have a 2011 Pilot, the check engine light came on with the D flashing. I read that it could be the gas cap. I tightened the gas cap, the D stopped flashing but the check engine light is still on. It has been raining hard here for the past few weeks. There is water leaking from the front of the car as well. Its not oil, the liquid does not smell. Could this be radiator? Or just condensation? To top it off, in the console when I start the car, it clicks for approximately 10 seconds then goes away. I have taken it in to the Honda dealership and they don't know why it's clicking. It happens more in the summer months, intermittently. It sounds like you may have a problem with the trailer hitch wire harness. Try unplugging it first, it's usually located behind the left rear panel (drivers side) in the cargo area. I have a 2011 honda pilot. I was having issues with my trailer main fuse so i removed the fuse to check if it was bad. When i went to put the fuse that was still good back into the fuse box i noticed a bunch of lights were lighting up on my dashboard. Im not sure of all of the lights but i do know the drive light was flashing green when it was in park. Is there an easy reset fix for this problem, or should i seek a professional. I believe you have two coolant temperature switches in your vehicle, one in the engine block and one at the bottom of the radiator. I recommend checking the input from both sensors with a scanner. Check engine light is on in my 2007 Accord. Code is P0128 (cooling system malfunction). Car does not overheat, and air conditioning works fine. Mechanic says thermostat looks good. What else could it be? It could be a lot of things Amanda. It may be worth getting a $20 code reader at this point so you at least know what the coed is. So I drove my fiance to work this morning and on my way out of his work parking light I noticed the check engine light on I know I just had to put oil in a few weeks ago. My car is a 2000 Honda accord and has 174k maybe a little over on it. We are running the high milage oil in it any ideas? It's most likely not an O2 sensor, but something else causing the problem. Have you ever had the valves adjusted? How many miles are on the engine? Does the engine run smooth?